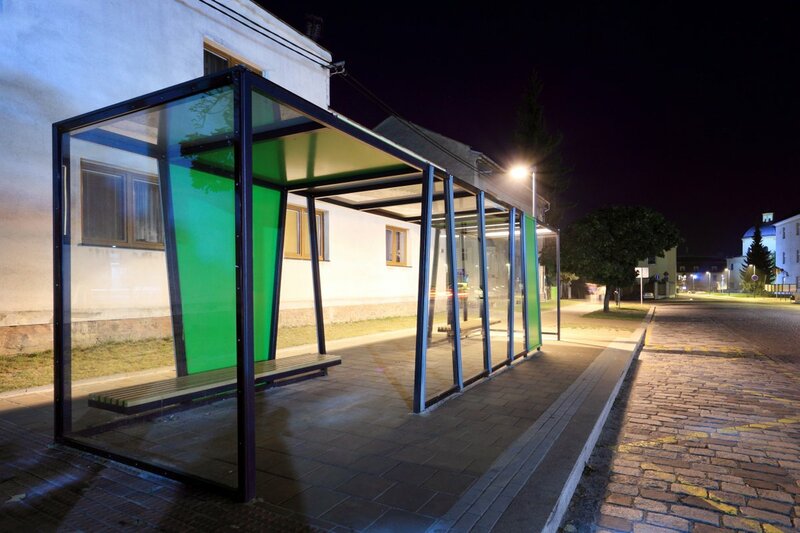 The bus stop is designed as self-supporting construction made out of steel profiles of size of cross-section 80 x 80 mm in a surface finish in hot dip galvanization. 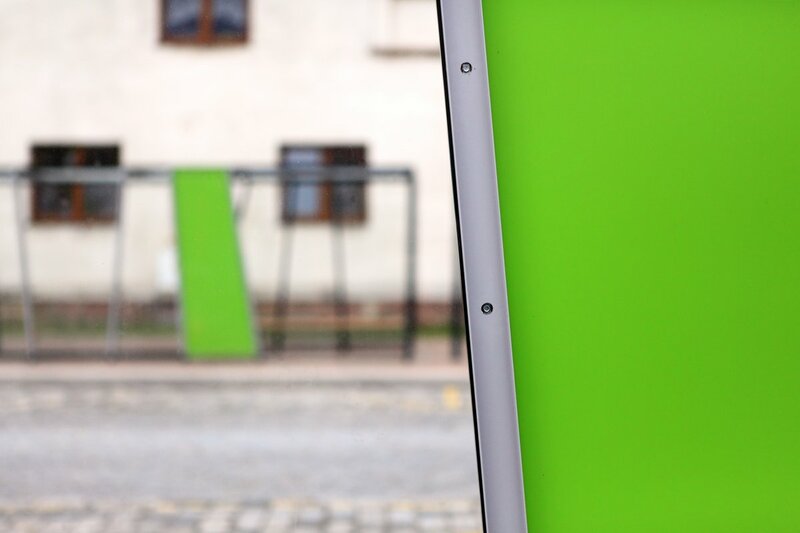 As a part of a construction are also seen an independent anchors that sit on the prepared concrete blocks eventually foundation strips. 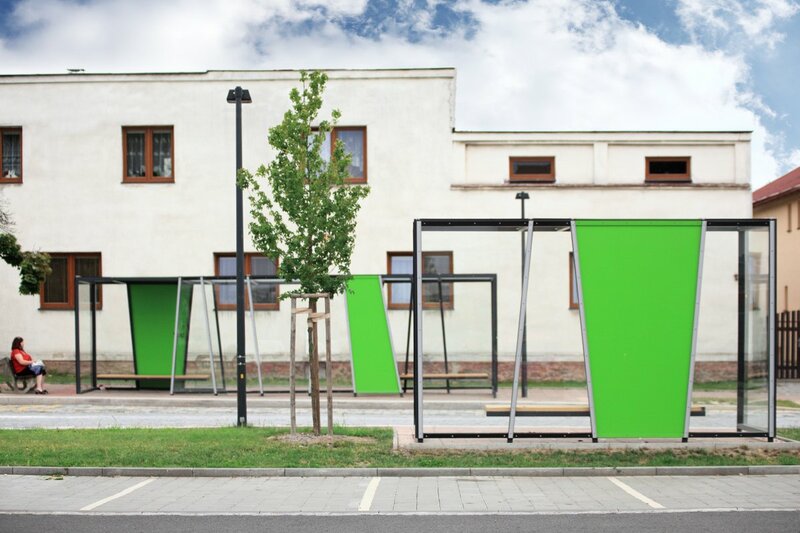 The concept is seen as a basic construction with its panels in different finishes. Other part is seen as a module of a length of 1 meter. 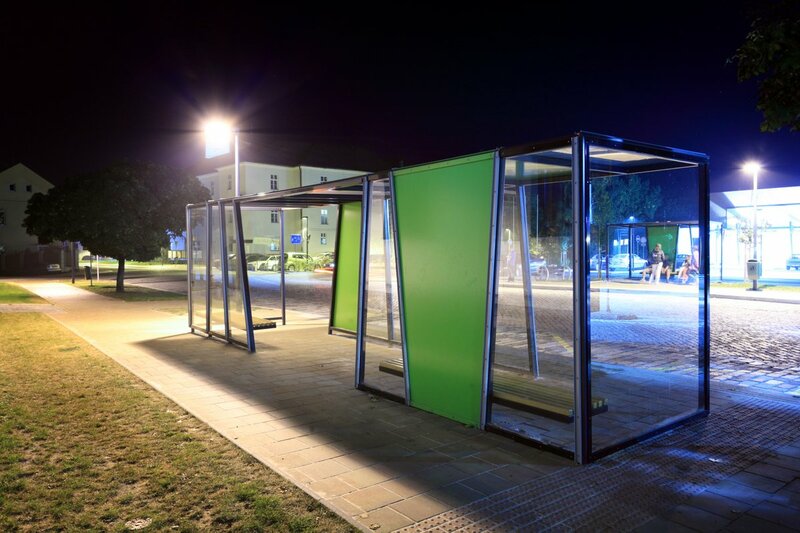 As a possible finishes, we can see a safety glass, a polyver, colored panels made out of alucobonds, panels made out of corten steel plate, panels made out of aluminium plate etc. 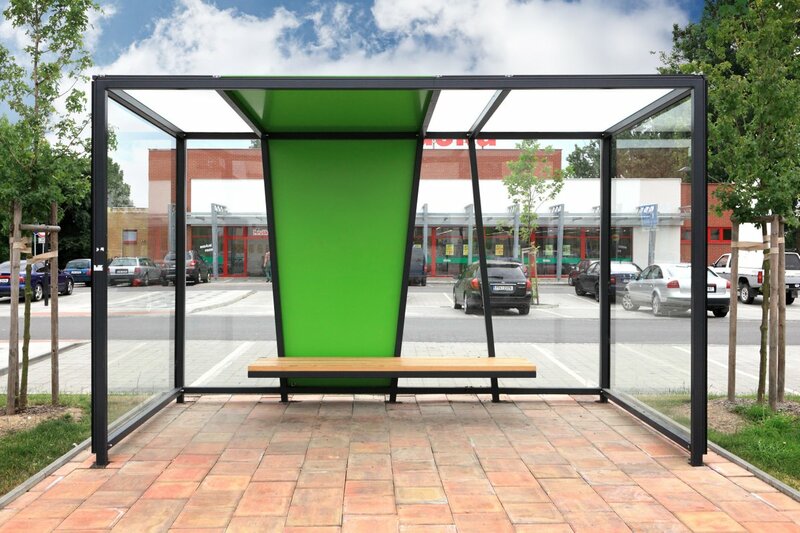 A complement of every bus stop is a bench made out of a steel construction in a black finish and a top board made out of a wooden lath in a natural finish. 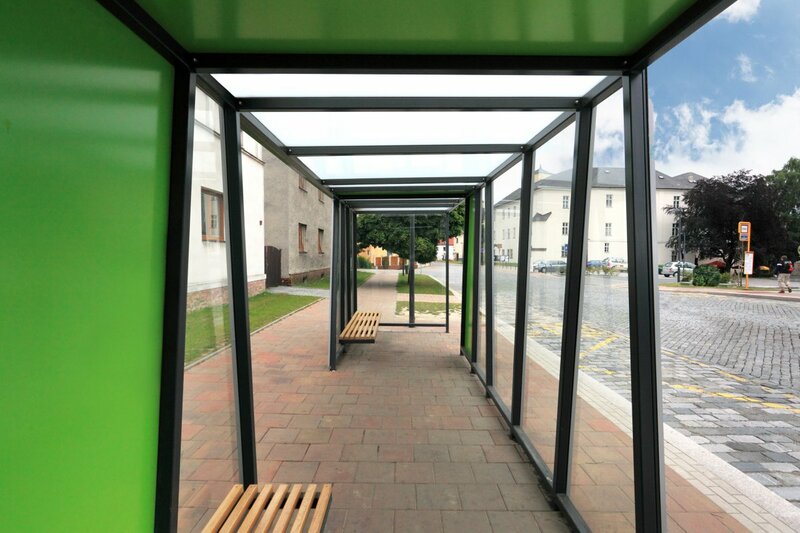 The bench is 2.5 m long.